Whether you're visualizing long-term career advancement or your first day is around the corner, you may be wondering how to manage new responsibilities as a nurse manager. Transitioning from any position to a different role requires patience and optimism; no one is perfect in a new environment right away. Here are some tips on where to begin and how to navigate the promotion to nurse manager. Establish relationships – Begin by figuring out who the go-to people are in your organization or team and start building relationships with them immediately. Whether it's doctors, nurses, desk staff, building security or upper management, these people will turn out to be key contributors throughout your tenurewith your facility. Once relationships are established through trust and time, remember to tap into theseindividuals as internal resources for executing on the job, help, questions, strategy sessions, or anything else you might need. Forming relationships also means building community with your nursing unit and getting to know the people you work with each day. The goal is to grow together by learning each other's strengths and shortcomings to make for the best working relationship possible. The higher your nursing unit's morale is, the better your patient care will be! Set expectations – Setting clear expectations and guidelines helps ensure accountability remains high throughout your nursing unit. This accountability is a two-way street; nurse managers must hold themselves to high standards before asking the same of the nurses and other healthcare professionals around them. Aligning your unit with the organization's goals will go far to achieve effective patient care and business objectives of your organization. Carve out time early on to discuss your vision and action steps to help get you there. This time could be 15-20 minutes to start or end a team meeting. When everyone on the team is included in the planning process, the chance of positive results increases since individuals can understand and buy into a common vision. >Get comfortable transitioning to near-peer manager and mentor – When you transition to the role of nurse manager, recognize you are moving into a "near-peer" managerial role. This means you are supervising and leading a group of people that consider you a peer, since you were recently in their position. One of your roles as nurse manager will be to act as a mentor to nurses and help them navigate their own career journey. Since you've been in their shoes, know what's expected, and can relate to the job, you are in a prime position to guide the nurses in your unit. Accept the possible early discomfort that comes with supervising people you were once working beside and capitalize on the opportunities of being a "near-peer" manager and mentor. Get accustomed to numbers, policies and procedures – As you've likely heard, nurse managers havefinancial and budgeting responsibilities within their healthcare environment. This means you'll need to get used to the numbers, policies and procedures that come with the job, which will play a large part in measuring the success of your nursing unit. On top of that, your colleagues will be looking to you to act as the credible source on all rules and regulations of your unit. Some nurses may be surprised by the policy and financial knowledge needed to act as a nurse manager. Fortunately, RN-BSN programs prepare nurses for the role of nurse manager with these skills. You won't necessarily be an expert in fiscal planning from day one, but your previous education and experience will provide a foundation for success early in your transition. Do your best to remember that while people skills are invaluable, managers also need to be well-versed with the data, policies, budgets and procedures of the position. 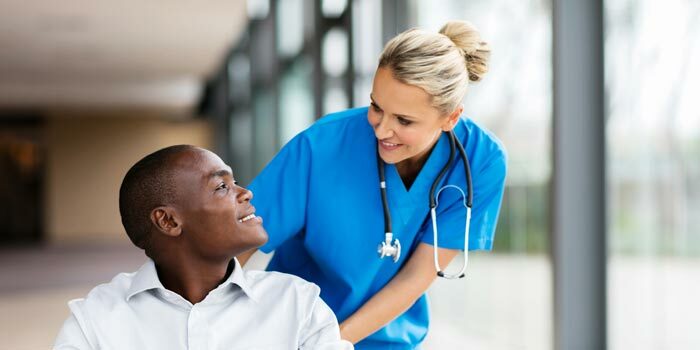 Flexibility – Just as a nurse must be flexible with their patients and colleagues throughout a shift, nurse managers need to be flexible in their daily operations and overall role. Nurse managers are required to perform a balancing act between planning and executing a strict vision while being nimble enough to adapt to unforeseen situations and possible emergencies. Flexibility is also needed in playing various roles at work, since you might feel you're in a groove as supervisor and mentor but be called upon to lead a budget meeting or have a tricky conversation with a doctor or other healthcare practitioner. Being flexible will serve you well as you lead your nursing unit through the unpredictability of the job. Collaboration – As is the case with all successful managers and leaders, collaboration is key as a nurse manager. Beyond your actual nursing unit, you will interact with doctors, upper management and general hospital/clinical staff on-site to form a complete team. During your transition to nurse manager, you can use the relationships you're building early on to promote collaboration. These steps will help you and your colleagues provide excellent patient care and meet the goals of your healthcare organization.